Personal Data: To Share or Not To Share? We talk a lot about restricting what personal data we share on line, but is that sharing all bad? Tom Fishburne nails the issue with this week’s Marketoonist post. We’re in a marketing catch-22. Consumers increasingly demand hyper-personalized experiences but are increasingly reluctant to hand over the data needed to make those experiences personalized. Following a blog post recommendation by Emma Firth, Communications Director of Digi.me, I just read an insightful article, “Transforming the Digital Identity Landscape,” in the June 2017 issue of Leo, an e-magazine published by Luxembourg for Finance. To me, digital identity is the bridge between the world of virtual identities that only exist on-line and the things that exist in the real world. You can think of the problem as being that there are two sides to that bridge: we need to connect the bridge to the real world, and that´s complicated and time-consuming and expensive. 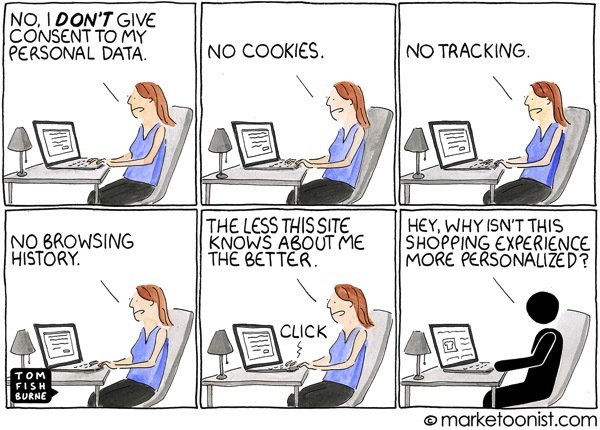 Nobody wants to have to manage personal data. Especially because you have new data protection laws coming, and the costs of having to manage this ‘toxic waste’ and deal with it when it is tangential to your business are not what you want to do. Connecting the bridge to the virtual world, in contrast, is easy. 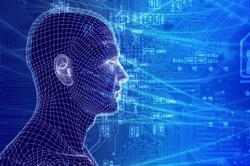 We should have many virtual identities, one for each of our online relationships. I like the concepts of Identity being a bridge (or set of bridges) between the virtual world of online identities and reality. His comment about the difficulty of managing the “toxic” waste of personal data which is only tangential to real business is particularly relevant in the GDPR countdown to May 25, 2018. If you consider identity not to be just identification of data, but all the things that I do, then it’s a holistic through-life process, and you should be using digital identity by engaging directly with me and looking at me across all aspects of my life. I liked how Mr. Ranger described Digital Identity as a “holistic through-life process,” challenging financial services companies to embrace the inherent multi-dimensional reality of the customers they serve. When you look at digital identity there is no de facto listing globally. This is so critical to identity that if you don’t trust the system that the identities are being captured and contained within, it makes it tough for that system to be very useful within the realms of what you are trying to do. This is why people have started to look at irrefutable databases. Things like distributive ledgers and blockchain-like identity schemes are very interesting for this. Yes, Digital Identity begs for a global “irrefutable database,” perhaps using “distributive ledgers and blockchain-like identity schemes.” I believe this type of mechanism is essential to really solve the current conflict of interest nature of Identity providers. I believe we overuse and overhype the term blockchain. I believe that distributive ledger technology does serve as an excellent tool, but in the future, we are going to have components of Artificial Intelligence that we haven’t looked at before, with which we will be able to fine-tune this concept of digital identity. Startups and FinTech can streamline and simplify the process around identity, and I believe the banks themselves can secure it and make sure it’s compliant, and the two work hand in hand together. I agree that “blockchain” is an overhyped term, but it is interesting that Mr. Maule turned to another over-hyped term, “Artificial Intelligence,” in the quest to fine tune and simplify the problems of Digital Identity. I expect that we will see a number of technologies converge to meet the global requirements of Digital Identity. Digital identity is the “bridge” between our many online virtual identities and our real-world selves. Digital Identity must be a “holistic through-life process,” accommodating the inherent multi-dimensional aspect of our lives. Technologies like blockchain and distributed ledgers will be essential to enable global, irrefutable databases for Digital Identity. Blockchain alone won’t solve all the problems. Leveraging other emerging technologies such as artificial intelligence will be essential to meet real world Digital Identity demands. I love these discussions about Identity. We have a great future ahead. @Johannes_Ernst: “We do not know yet what will be the ‘VisiCalc’ of Personal Clouds” #IIW #pcloud #personaldata. I think Johannes hit the nail squarely on its head. The concept of Personal Clouds is very intriguing, but still in the hobbyist stage. If I recall correctly, the first time I saw Visicalc demonstrated was on a TRS- 80 machine. It was crude by today’s standards, but revolutionary in what we could do with it. 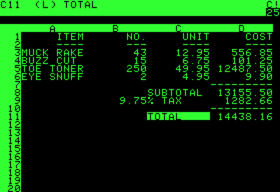 VisiCalc … is often considered the application that turned the microcomputer from a hobby for computer enthusiasts into a serious business tool. What will be the application that turns Personal Clouds into a serious tool and triggers rapid growth? I would hope that universally accepted, personally managed Identity credentials and mobile payments will be early winners, but who knows? I just finished reading an intriguing white paper, “Towards a Trustworthy Digital Infrastructure for Core Identities and Personal Data Stores,” written by Thomas Hardjono, Dazza Greenwood, and Alex (Sandy) Pentland, all associated with MIT. I was particularly interested to see how much detail has been built around this concept of Core Identities since Dazza Greenwood and I discussed it several years ago, while I was employed by Sun Microsystems. At the heart of digital identities is the concept of the core identity of an individual, which inalienably belongs to that individual. The core identity serves as the root from which emerge other forms of digital derived identities (called personas) that are practically useful and are legally enforced in digital transactions. The OpenPDS is an open-source Personal Data Store (PDS) enabling the user to collect, store, and give access to their data while protecting their privacy. Users can install and operate their own PDS, or alternatively users can operate an OpenPDS instance in a hosted environment. We use the term “dynamic” here to denote that fact that the PDS does not only contain static data but also incorporates the ability to perform computations based on policy and is user-managed or user-driven. In a sense, the OpenPDS can be considered a small and portable Trusted Compute Unit belonging to an individual. An infrastructure to support the establishment and use of core identities and personas is needed in order to provide equitable access to data and resources on the Internet. Personas are needed which are legally bound to core identifiers belonging to the individual. We see personas as a means to achieve individual privacy through the use of derived identifiers. 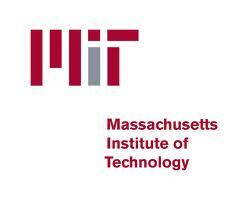 the privacy preserving features of core identities and personas fully satisfy the data privacy requirements of Personal Data Stores as defined by the MIT OpenPDS project. The ability for an individual to own and control his or her personal data through deployment of a PDS represents a key requirement for the future of the digital commerce on Internet. We believe the MIT OpenPDS design allows for a new breed of providers to emerge who will support consumer privacy, while at the same time allow the consumer to optionally partake in various data mining and exploration schemes in a privacy-preserving manner. This sounds like OpenPDS is very much in line with the Personal Cloud concept. Perhaps the MIT work with Core Identities, Personas and Open Personal Data Systems will help shorten the time before we can take advantage of real, working Personal Clouds. Mammoth – Will it be my Personal Cloud? I followed a tweet from @paulmadsen and reserved my name. You can reserve your name, too, by clicking here, or on the image below. If you click here and reserve your name, you will be in line to use the service, and I will be one step closer to getting my account activated (I need a couple more friends to click through). 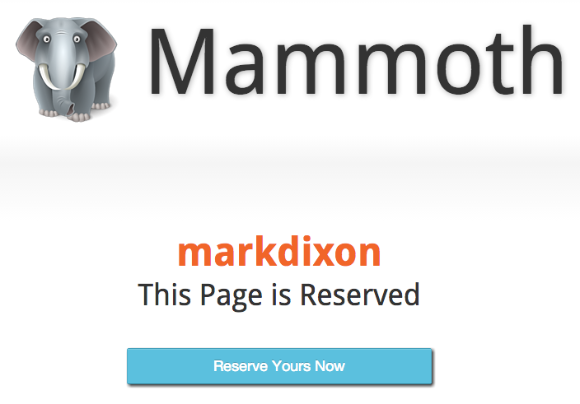 We will both be one step closer to testing how to collaborate on Mammoth. Thanks for clicking! Our entire business is based on your trust – why would we screw with that? To put simply, we don’t have any reason to misuse any information we collect. And we only capture data thats needed to enable a feature for you, nothing else. Could this be a “personal cloud” that I can really use? It has my name on it. It sounds like it will be secure. I look forward to checking it out. An interesting new report came to my attention today, “ Unlocking the Value of Personal Datra: From Collection to Usage,” published by the World Economic Forum, prepared in collaboration with The Boston Consulting Group. Our world is changing. It is complex, hyperconnected, and increasingly driven by insights derived from big data. And the rate of change shows no sign of slowing. … the economic and social value of big data does not come just from its quantity. It also comes from its quality – the ways in which individual bits of data can be interconnected to reveal new insights with the potential to transform business and society. … fully tapping that potential holds much promise, and much risk. It is particularly interesting to me that although there are numerous examples about the potential benefits of big data, there are huge challenges, and no easy fixes. But the report is well written and provocative. Well worth the time to read. Plus as an added bonus, the report has some great pictures and graphics – a treat seldom seen in a report like this. Here is my favorite – it seems to capture the spirit of the crazy world of privacy and security we are in right now. I received my first order of SquareTag labels this week and tagged the normal things – iPad, briefcase, etc. It was fun to see that when a tag was scanned, the SquareTag “SafeAndMine” system sent me a geotagged message indicating where the scan had taken place. In the wee hours of this morning, during a bout of insomnia, I had a brainstorm – why not SquareTag my blog? So, here it is. Please scan the SquareTag label, in this post or in the blog header, and send me a short message. It would be great to see who tagged me and where you are located. I’ll report back with the results. One caveat … when you scan my tag, you will get a message from SquareTag saying, “You’ve found my Other.” The good folks at Kynetx didn’t anticipate this little experiment, so my blog is, at least for now, an “Other”. Thanks – and good tagging! This afternoon, I took an intriguing romp through several recent articles about personal data, clouds and operating systems – somewhat following on my recent exploration of Life Management Platforms, which fall into the same general category. I really like the emphasis on the term Personal. True personalization implies that I am able to leverage my identity to get more and more value from my online experience. 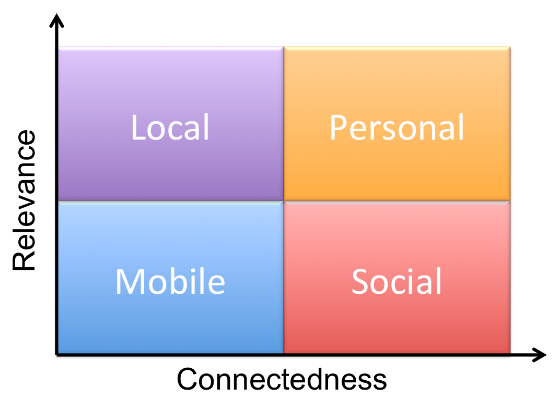 First, the following chart from Drummond’s post illustrates the progression toward a personal network or platform. That seems particularly relevant to me as Facebook, though social, is decidedly and increasingly less personal. I would very much like to see concepts such as Life Management Platforms and Personal Channels emerge to give me more control over my information and interactions with others. Second, I like the concept that Personal Channels provide “Volume Control” plus “Intelligent Filtering and Organization.” I have become increasingly perturbed at the level of irrelevant noise on Facebook and Twitter. To some extent, I can filter things down by using groups and lists, but it is cumbersome and very limited. Third, the concept of a cloud operating system is powerful. The ability to have a COS to handle services like Identity, Program Execution, Data Abstraction and Communication will enable much innovation and will be necessary to really deliver functionality like Life Management Platforms and Personal Channels. However, unless someone can deliver infinite bandwidth to us all, I doubt that we will completely get away from the mobile device “calf” connected to the cloud “cow,” to borrow Craig Burton’s model. Intelligence at the personal device OS level that is uniquely positioned to provide crisp, beautiful and functional user interfaces will need to be seamlessly integrated with powerful functionality and connectivity at the COS level. We’re building a real-time social service where users and developers come first, not advertisers … We believe that advertising-supported social services are so consistently and inextricably at odds with the interests of users and developers that something must be done. It sounds like the app.net platform will not only provide a “personal channel,” but a cloud operating system of sorts, where developers can plug in interrelated applications in a standardized way. It doesn’t appear to possess all the qualities of a COS as defined in the Burton, et al, white paper, but perhaps it is a step in the right direction. I signed up as an early adopter in hopes their project gets funded. Craig Burton: Digital Identity is core to all this stuff. I will not attempt to summarize or paraphrase Craig’s characteristically-lucid commentary, but recommend that you read it. 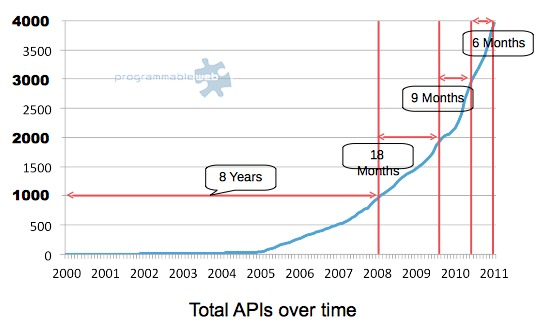 Please also take a few minutes and read the Programmable Web article Craig mentions, about the accelerating growth of public API’s. Digital Identity is core to all this stuff.